2010 December - Lucretia Regina-Potter Republican District Leader 46AD - Finally a Voice for the 46th Assembly District! Wishing Everyone Happiness, Joy and Prosperity in 2011! Have you ever wondered how Bensonhurst got it’s name? 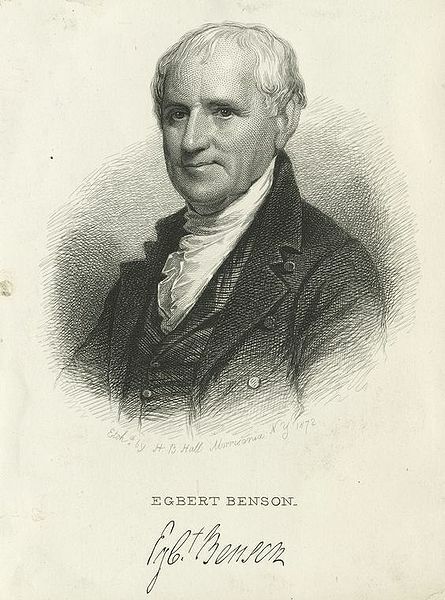 Before Bensonhurst became a neighborhood of semi-detached houses and apartment buildings it was farmland, and the Benson family was one of its largest landowners. Two of the most prominent and interesting members of the family were Egbert and Arthur Benson. Egbert, born in New York City in 1746, was a delegate to the Continental Congress and the first Attorney General of New York State. He was member of the New York State constitutional convention, which ratified the United States Constitution in 1788. A genuine Founding Father, Egbert was also one of the founders of the New York Historical Society. Arthur W. Benson, born in 1798, started the Brooklyn Gas Light Company in 1823. It was one of the firms that would eventually merge to become Brooklyn Union Gas. In recent years it was acquired by Key Span and is now part of National Grid USA. If the Bensons of the Revolutionary War era were alive today they might not be very enthusiastic about the multinational corporation; its headquarters are in London. 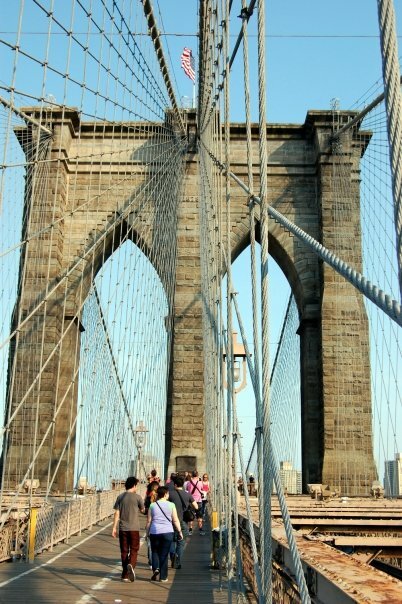 In 1869 Arthur was one of only nine individual investors in the construction of the Brooklyn Bridge. In 1835 he had begun to purchase land near the old family farm in the Kings County town of New Utrecht. New Utrecht was one of the six original towns that would later form the Brooklyn we know today. It included the modern day neighborhoods of Bensonhurst, Dyker Heights and Borough Park. Between 1830 and 1840 Arthur began to sell parcels of the land to developer James Lynch on the condition the land would bear the family name. 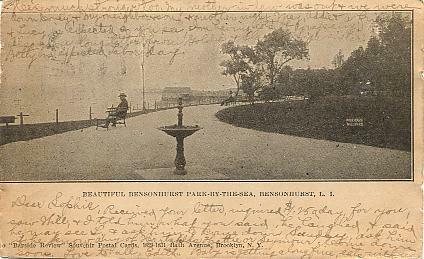 The newly created suburb, which was a gated community called Bensonhurst by the Sea, stood roughly where Bath Beach is today. Bensonhurst was planned as the ideal suburb. Peaceful, with ocean breezes, large beautiful homes and an easy commute to both Manhattan and Downtown Brooklyn via the Brooklyn, Bath and West End Railroad. Decades later this rail line would become the BMT West End Line of the New York City Subway, now served by the D train. Bensonhurst and the surrounding area was home to quite a few popular and upscale clubs of the time, including the New York Canoe Club, Bensonhurst Tennis Club, Bensonhurst Yacht Club, and Atlantic Yacht Club. There was a push to make Bensonhurst compete with Coney Island as a tourist destination. To this end racetracks, amusement parks and hotels were built but were unsuccessful at luring the Coney Island masses. Bensonhurst by the Sea, with less than 10,000 residents at the time, would remain a tranquil bedroom community. In 1894 New Utrecht was annexed by the City of Brooklyn. The name Bensonhurst by the Sea, no longer a gated community, was shortened to Bensonhurst. Before long many of the large homes, including the Benson family homestead, would be razed to build brick row houses and apartment buildings for immigrant families, mostly Jewish and Italian, who were escaping the filthy and crowded conditions of Manhattan’s Lower East Side. The Bensons would hardly recognize the Bensonhurst of today. They might marvel at the sheer number of people and nationalities now calling Bensonhurst home. While there is little physical evidence left from that era, the Benson family name lives on. The word on everybody’s lips: Redistricting. Redistricting* is sort of a wonky issue. That’s one of the reasons it usually flies under the radar, and why politicians are able to game the system to their advantage so easily. Over the weekend, as New Yorkers all over the state were enjoying their holidays or their movies, they opened their local newspapers to read about the importance of fast action on redistricting reform, and the work New York Uprising is doing to push the issue. I don’t think they will break their promise. I believe that – because you and I are still paying attention – the members of the legislature who signed our pledges, Democrats and Republicans, will stand up and bring reform to our state: starting with impartial redistricting. And even though it won’t be in time for the holidays, it will still be the best gift of all. PS: With last week’s announcement that New York will lose two seats in Congress, this issue is even more important. A nonpartisan, independent commission is the only fair way to draw the new map and make the tough decision as to which seats will be eliminated. With public confidence in our elected officials at an all-time low, the new lines should reflect impartial demographic and population patterns – not backroom deals designed to protect favored incumbents at the voters’ expense. *Redistricting follows the Census every ten years, shifting the boundaries of congressional and state legislative districts to account for changes in population. It’s commonly associated with “gerrymandering,” where legislators draw oddly-shaped districts to maximize political advantage and insulate themselves from competition, allowing them to get away with the kind of bad behavior that has made our state a national joke. New York Uprising advocates a non-partisan, independent approach.